PRODUCTION EXPO 2014: FXpansion's software instruments and effects offer unique and innovative approaches for musicians, songwriters and engineers. Since being founded in 1999 it has continually won awards, defined new paradigms and attracted a devoted userbase for high quality products and great support. With a worldwide team of creative technical minds and passionate musicians, FXpansion is committed to mapping new routes to musical ideas. 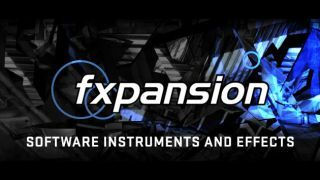 FXpansion's current range includes advanced production environments (BFD3, BFD Eco, Geist) alongside synthesis instruments (DCAM Synth Squad, Tremor) and creative effect processors (Bloom, Etch, Maul, DCAM Dynamics). All FXpansion products are available for V.S.T., AudioUnit and RTAS platforms with the company also expanding into AAX, Reason Rack Extension and iOs environments. BFD3 offers you the perfect drummer for your music - impeccable timing and a huge selection of sounds, patterns and feels. The third generation of FXpansion's acoustic drum software series, BFD3 presents amazing new features, new levels of realism and stunning mix-ready kits in an ergonomic redesigned engine. The diverse selection of BFD-compatible expansions by FXpansion and third parties provides a continually growing library of professionally produced drum and percussion sounds. With seamless integration into your BFD3, BFD Eco or BFD2 sessions, over 1800 drums, cymbals and percussion instruments can be combined, tweaked and tuned to create an infinite array of hybrid kits and room sounds. FXpansion's growing range of software effect plugins use DCAM circuit modelling for sound quality that rivals premium hardware while also providing new ways of using classic processing techniques. For more information on FXpansion please visit their official website, or connect with them via Facebook, Twitter and YouTube.